We all understand the importance of accurately representing our brand in today’s market. Gauri now takes on this Story-telling responsibility for us. We have great stories to tell and she has the skill to share them with the right audience in the right manner. It is a perfect match. Daley And Associates, LLC , a respected and award winning executive search and professional contract staffing firm specializing in the placement of Accounting, Finance, Information Technology, Legal, Administrative and Life Sciences professionals, announced that Gauri Chandna will now lead all branding activities for Daley And Associates, as the Branding Ambassador. “Gauri joined us recently as our Marketing And Communications Manager. During the course of just a few months, she has not only automated and stream-lined our internal lead generation projects but has also surpassed expectations in representing our brand to the external world. We all understand the importance of accurately representing our brand in today’s market. Gauri now takes on this Story-telling responsibility for us. We have great stories to tell and she has the skill to share them with the right audience in the right manner. It is a perfect match,” said Mike Daley, the President and CEO of Daley And Associates, LLC. Gauri Chandna is the Marketing and Communications Manager at Daley And Associates. Gauri brings along a wide branding and marketing experience including designing and executing a comprehensive, targeted and goals driven, digital marketing strategy with measurable results. At Daley And Associates, Gauri continues to drive an inbound data driven strategy. She now leads all DAA branding and marketing initiatives to optimize achievement of company goals. 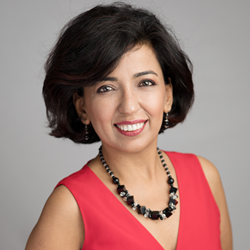 Prior to joining Daley And Associates, Gauri has worked with over 50 clients on branding and marketing projects as a freelance consultant. For background, Gauri has an engineering degree, is a published author, an entrepreneur, a speaker and winner of many awards including Woman Of The Year 2005 top 20 nominees and Mrs New England Jewel Of India 2016. Outside of work, she has been an actor, a model, and is a decorated show host for stage shows and video interviews. Gauri is the founder and marketing partner for The Foundations TV a community online media channel and The Foundations TV annual Red Carpet Community Event. “When Gauri started with us, we were just starting a website redesign project. She jumped right in and led that project, with ease, to completion. We have a launch coming up pretty soon. She not only expertly handles multiple time sensitive projects, but she also brings along a collaborative process based methodology that refines the baseline itself. The way she thinks about marketing and branding as a whole, connects so many pieces together for us as a company. She does have a unique way of positioning information and basing it off actual data, which to me is highly valuable,” said Christyn Thatcher, the Chief Operating Officer at Daley And Associates. Gauri said that the best part about working at Daley And Associates is it’s work culture. “People are happy here,” she said, “and very welcoming to fresh ideas. Happy people produce great work together. With a team like DAA to work with, I am excited each morning to wake up and come to work. It is a conducive environment for creative thinking. To be successful as a branding and marketing lead, I need content that is worth show-casing, the right tools to do it, the right environment to be creative, and the receptiveness of the management team . Daley And Associates has it all. All I have to do now is what I do best, share well.” “I am excited about some of the new branding initiatives that we are taking on as a company in the upcoming months. Stay tuned,” added Chandna. 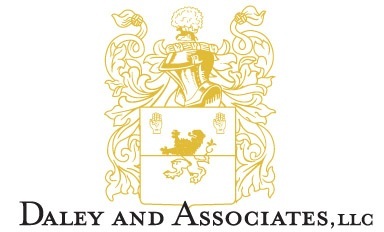 About Daley And Associates, LLC : Daley and Associates (DAA) is a boutique executive search, retained search and contract staffing firm that is specializing in placing Accounting, Finance, Administration, Information Technology, Legal and Life Sciences professionals into outstanding opportunities at all levels. The DAA team is comprised of executives, senior management, and expert team of recruiting professionals. They take pride in excellent client relationships, superior industry knowledge, and personable approach ensuring a great fit between the goals and needs of each client and candidate. DAA matches exceptional talent with employers to produce exceptional results.